Available through your local bookstore and online booksellers. Haiku - The Sacred Art introduces haiku as a simple and effective way of tapping into the sacred moments that permeate everyday living. 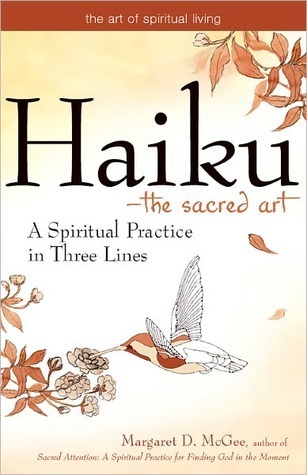 Starting with examples and practices that lead to writing a first haiku, and then on to an overview of haiku conventions, the author invites us on a path to respond to the holiness that lives and breathes in the world around us. By capturing and writing down images of what makes us aware of holiness—particular moments of deep feeling, moments that make us feel alive and whole—writing haiku becomes a way of relating to the sacred through the “now” of this moment, just as is. "I was only going to sample [your] haiku book, and ended up reading it cover-to-cover, only getting up now and again for another cup of coffee. Pure delight! I really enjoy the way you write – your personal stories are perfect in each case – very like haibun."